Calling the Ladies of Om! Come gather in the studio for an experiential overview of the chakras through yoga. Chakra means "wheel" of energy and this workshop will enhance your personal understanding of these centers. 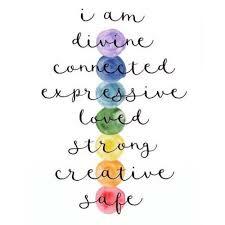 Beth is your guide to the chakra map to help you gain knowledge of your subtle internal energy. This work will blend background & philosophy with asana & breath-work to wake you up to your chakras. This is a a fun and colorful yoga gathering. Literally, please wear a colorful top or bottom. Class will end with colorful, chakra-inspired healthy snack reception. Workshop fee is $40. Click here to register.